I am happy to meet with you to discuss your research. Feel free to schedule an appointment with me by clicking on "schedule an appointment" link below or the green rectangle box to the right, and choosing an available time slot. 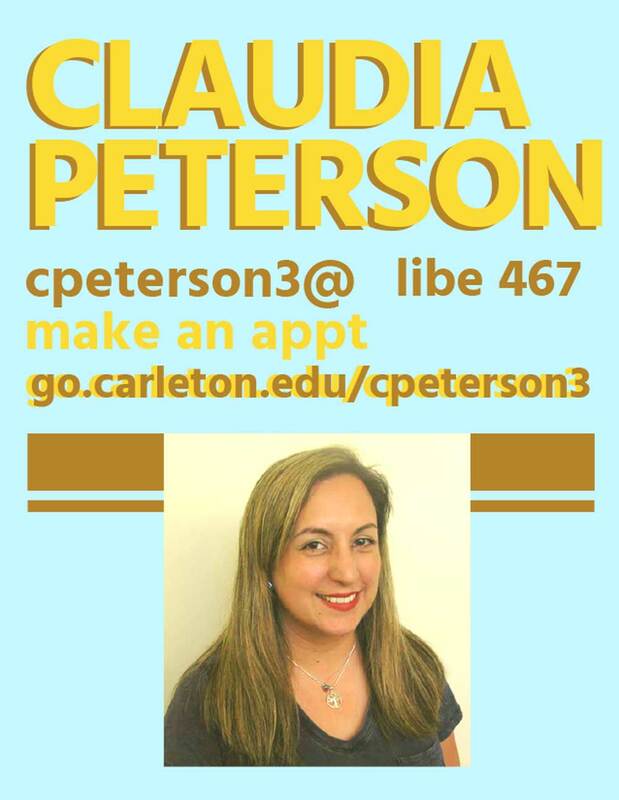 If my current available times do not work for you, please feel free to send me an e-mail at cpeterson3@carleton.edu and I will work with you to find a time to meet.